Basic cupcakes are considered vanilla, chocolate, or funfetti cake with vanilla or chocolate buttercream icing. Basic cupcakes are $18/dozen for regular size (minimum of 1 dozen per flavor) and $12/dozen for mini’s (minimum order of 2 dozen per flavor). Speciality cupcakes are considered any type of cupcake with a filling or speciality cake and/or buttercream flavor and are priced per quote. Examples are: cookies and cream, nut-free carrot cake, red velvet, lemon blueberry, etc. I require one dozen per cupcake flavor. I do not offer gluten-free at this time and do not bake with tree nuts due to my personal allergy. I am now offering 12″ cookie cakes in chocolate chip with vanilla or chocolate buttercream icing. Cookie cakes are $25 and will feed 12-15 people. 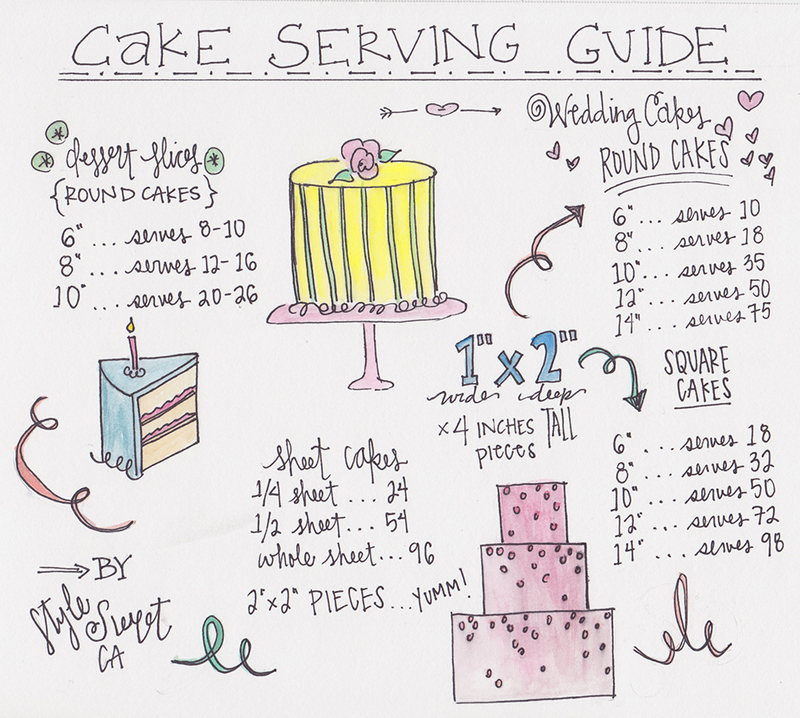 Prices will vary based on fillings, number of stacked cakes, tiers, etc. I can help you choose the right sized cake for your occasion. Basic cake flavors are considered vanilla, chocolate, or funfetti cake with vanilla or chocolate buttercream icing. Speciality flavors are considered any other cake flavor/icing combination and fruit fillings. Examples are: cookies and cream, nut-free carrot cake, red velvet, lemon blueberry, etc. I do not offer fondant cakes or gluten-free items at this time and do not bake with tree nuts due to my personal allergy. 4″ round single-tiered cake with buttercream icing. Two layers of cake and 1 layer of buttercream filling. 6 servings. 6″ round single-tiered cake with buttercream icing. Two layers of cake and 1 layer of buttercream filling. 8-10 servings. 8″ round single-tiered cake with buttercream icing. Two layers of cake and 1 layer of filling. 10-15 servings. 10″ round single-tiered cake with buttercream icing. Two layers of cake and 1 layer of filling. 20-25 servings. 12″ round single-tiered cake with buttercream icing. Two layers of cake and 1 layer of filling. 30-40 servings. Single layer of cake with buttercream icing. No filling. 2″x2″ suggested serving size with about 24 servings. Single layer of cake with buttercream icing. No filling. 2″x2″ suggested serving size with about 54 servings. Wedding and tiered cakes are priced per serving and based on cake flavor, icing and filling type. I do not offer fondant cakes or gluten-free items at this time and do not bake with or use tree nuts due to my personal allergy. Below are some examples of flavors I offer. If you are interested in something not listed below, please be sure to mention it on my Inquiry Form. There are lots of options available. Basic flavors start at $1.50 per serving. Speciality flavors start at $3.50/serving. I am happy to place fresh flowers in a food safe way on your cake. I personally love the look of fresh flowers. I encourage you to work with your florist to provide fresh, food-safe flowers that are pesticide free.